Theft of a motor vehicle is a specified offense under the general Utah theft statute. Under statute, the severity of the charge is largely a function of the value of the item; however, any motor vehicle, regardless of value, will be charged as a Second Degree Felony. That means that even if the motor vehicle is of modest value, its theft exposes the defendant to all of the potential collateral consequences associated with a Second Degree Felony conviction—including up to fifteen years prison, firearm restrictions, inability to vote, etc. The only exception is if the motor vehicle is not able to run. A careful reading of the below-cited statute reveals that the statute only applies to operable motor vehicles. So if the facts suggest that the vehicle was in some way not operable, that may be a defense at trial. 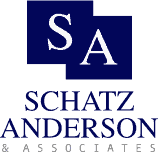 The attorneys at the criminal defense law firm of Schatz, Anderson & Associates have a detailed understanding of the theft statute, so they recognize the risks and all possible defenses to a serious charge such as motor vehicle theft. Utah Code 76-6-412 addresses theft of a vehicle.